The fastest track is Talladega Superspeedway where the record race average speed is 188 mph (303 km/h). Tracks with a length of less than one mile (1.6 km) are referred to as “short tracks”. Tracks are “superspeedways” if they are over 2 miles (3 km) in length. Initially, a track only needed to be 1 mile (1.6km) to be considered a superspeedways. Many of the early racing drivers were involved in bootlegging activities (illegally transporting alcohol). They would modify their cars to run faster and be more maneuverable. The first NASCAR competition held outside of the U.S. was in Canada in 1952. The slowest track is the Infineon Raceway, a road course, with an average race speed of only 81 mph (130 km/h). NASCAR engines are limited to 355 cubic inches (5.8 L). One of NASCAR’s most popular drivers, Dale Earnhardt, was killed in a racing accident on the last lap of the 2001 Daytona 500. Most tracks have installed soft walls and barriers along the track, called SAFER Barriers. 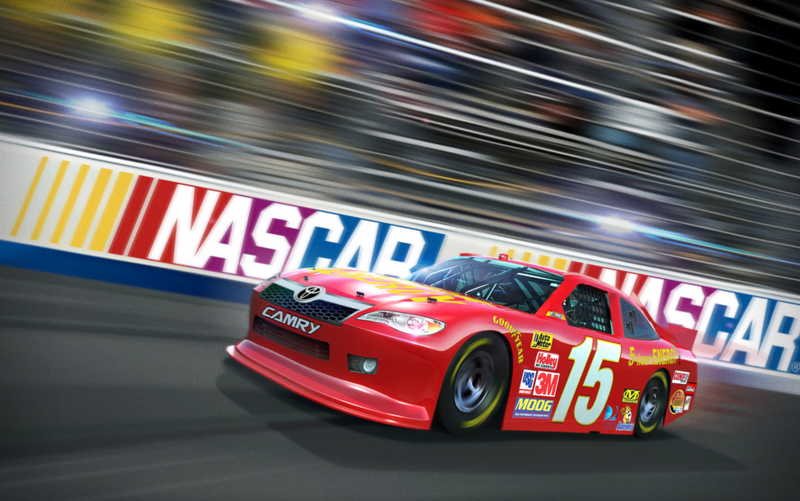 NASCAR has collaborated with Electronic Arts to develop several best-selling video games that simulate NASCAR racing. NASCAR is now the second most popular professional spectator sport in the entire U.S., behind only the (Click link for more info and facts about National Football League) National Football League (NFL). NASCAR’s headquarters are located in Daytona Beach, Florida. In 1994, NASCAR introduced roof flaps to the car, which designed to keep cars from getting airborne and rolling down track. The original NASCAR races were run on dirt tracks that got rutted and bumpy. The unmodified cars were not tough enough for this type of abuse, so NASCAR began allowing modifications to the stock cars to increase their durability. Most of the teams remove the air from the tires and replace it with nitrogen. Compressed nitrogen contains less moisture than compressed air, which can adversely affect the handling of the car. NASCAR tires look completely bald, but that’s not because they are worn out. On a dry track, tires can generate more traction if more of their sticky rubber is in contact with the ground. That’s why NASCAR races stop whenever the track is wet.